It’s super frustrating isn’t it? Continuing to operate in relative obscurity when you know you’ve got great products and services to make life better for the people you serve. Especially when you work as hard as you do on your business. Don’t worry. You’re not alone. Lot’s of entrepreneurs struggle with lead generation. It’s a challenge I hear over and over again when I talk to business owners. There is good news. There is a marketing strategy that’s been proven to work, that helps you turn your ideal customers into actual customers. And if you’ll put it to work in your business, a scarcity of customers will be a problem of the past. 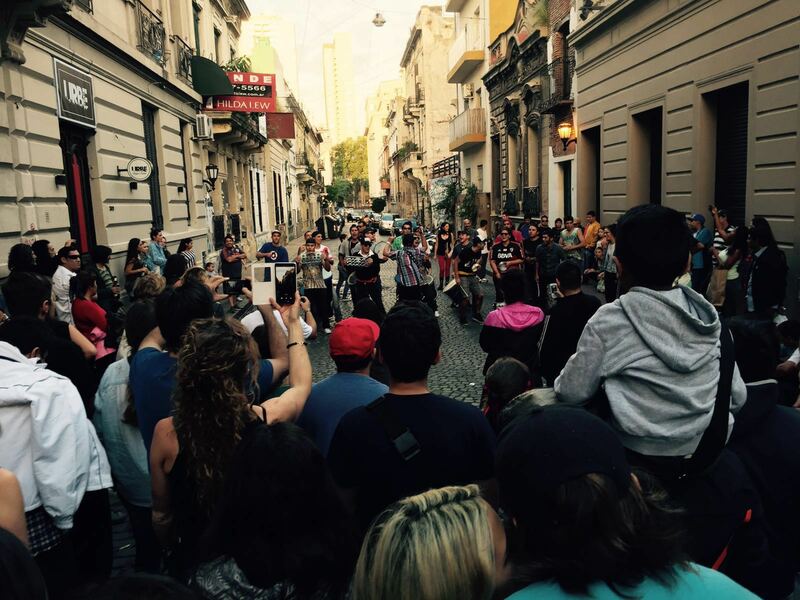 Florida Avenue is a bustling street here in Buenos Aires filled with lots of stores for shopping. Every time I walk on this street, I hear the constant buzzing of “cambio, cambio, cambio.” It’s the sound of the dozens of money changers, announcing their presence to the passersby. Normally, I’m not looking to change money, so I walk quickly to my destination, trying not to make eye contact as they call out. I see this group on Sunday’s while roaming around a popular street market in my barrio. And every week, it’s the same thing: a crowd of people listening, dancing, taking pictures and filming videos of the group. Because they are there every Sunday, I look for them, and get excited when I hear them playing in the distance. I’ve even shared videos of them with my friends and family on Facebook. Their marketing approach is vastly different than that of the money changers who hang out on Florida Avenue. The band draws their ideal customers to them by providing something of value that engages their audience. The money changers repel pedestrians away from them who aren’t interested in changing money at that moment. If you want to draw a consistent supply of customers to your business, you’ll adopt the marketing approach of the drum band too. No drumming required. The drum band reeled in new customers each week through their music. To get a steady stream of customers in your business, you’ve got to send out your own kind of music. When I say music, I really mean content. 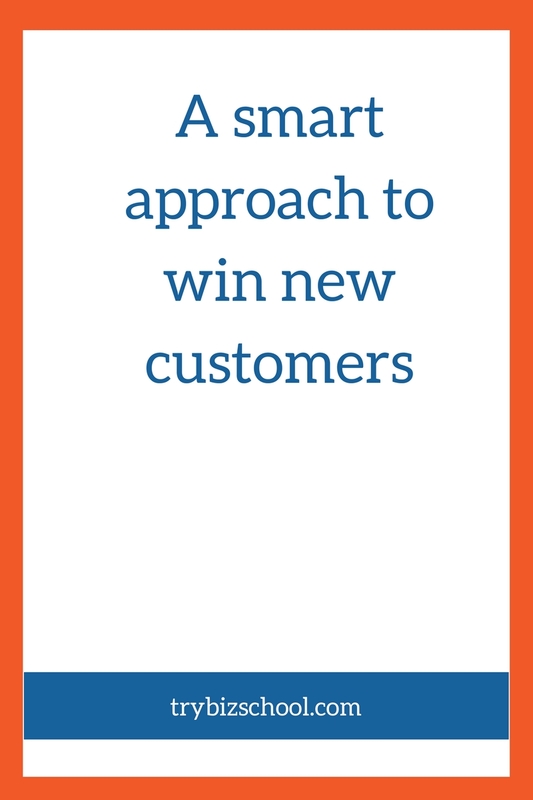 And the smart strategy that you should be implementing to consistently win new customers is content marketing. What is content marketing you ask? a strategic marketing approach focused on creating and distributing valuable, relevant, and consistent content to attract and retain a clearly-defined audience – and, ultimately, to drive profitable customer action. It’s a win-win for all. You get to add value to the people you want to serve, and over time, you will be rewarded with their business. Every business seems to be engaging in content marketing these days. That’s because it works. In multiple industries. In businesses of all sizes. All around the world. Content marketing as an approach has been used for years. Much of the time, it existed in the off-line world. But as more of business turns digital, the barriers to entry have been lowered, and the number of people you’re able to reach has drastically expanded. There are several forms of content you can use to grow your business. Use one channel exclusively, or mix and match them to help you attract your ideal customers and keep them loyal. Over time, we will explore a number of different content mediums you can utilize to get new customers into your business. But today, we’re going to do a deep dive into one content marketing channel that has been called the most underrated marketing tool for businesses: virtual summits. In one case study, a virtual summit host reported that it generated more leads for her sales team than all her other marketing activities combined. I hosted my first virtual summit earlier this year, and I fully intend to continue to use this strategy to grow my business. To give you some additional background on virtual summits, and how they work, I chatted with Navid Moazzez, the go-to expert on how to create and profit from them. 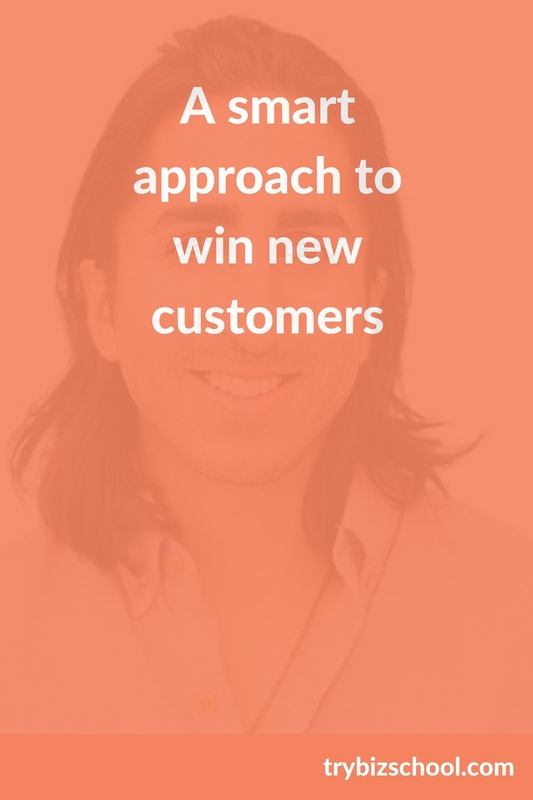 If you’re interested in adding a virtual summit to your marketing toolkit as a way to get more customers, definitely check out Navid’s training program. It’s available now, and as a student of his program, I can tell you it is fantastic. More details here. You can start implementing a repeatable system to get and keep the customers you want in your business. Then instead of walking by and ignoring your pleas to learn more about what you have to offer, your ideal clients will stop and take note of the value you bring them. So if you’re not already utilizing content marketing as a strategy, consider starting today. Hosting a virtual summit is a way to get started with a bang. And if you’re not quite ready for that, no worries. We’ll cover lots of other types of content you can use to keep your customer pipeline full in the future. Go Harriet Tubman $20.00 bill, she had a great leadership skills, I guess the marketing kinda got around word through mouth. There’s a lot of folk who will sell your item for you I suspect if your, good. I am already marketing you to my friends. However, apart from my 30 + yrs of doing my Tai Chi forms, my teaching skills are what I am trying to highlight. I can explain this Tai Chi in such detail that I can touch every learner. However am having a problem teaching more than one person which is why I am going viral. My client tell is gonna have to come from my social interactions, other business owners, and consumers plus those who stay viral. Shark tank talks a lot about copy write, intellectual property laws. I’ll explore that a little more later. Health/Tai Chi so far is at a tipping point. I am looking at sports players because I have personally experienced the results of superior legs. Tai Chi will give you superior legs, calfs, thighs and circulation. I thought about approaching dance schools, Also looking to approach corporate. Looking to find that niche in promoting and Viral is what’s up. Tks for your inspiration I’ve saved all your post and will review.